We are currently searching for a new State Administrator. Would your club like to honor senior women by holding a Senior America pageant? Congratulations to Aileen Brady, Ms. North Dakota 2017! Aileen has a passion for helping others. She is a Fitness Instructor and Personal Trainer that loves working with Seniors and Aileen feels that it is her mission in life to help people stay strong, fit and independent as they age. She teaches Zumba, Pilates, Strength and Cardio classes at a variety of Retirement homes and Senior Centers and she writes health and fitness articles for Seniors. 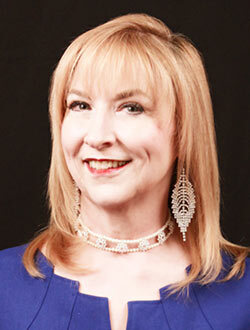 Aileen is also an award-winning actress and director and has used her talents for many years as a volunteer in Community and Children�s Theaters. She has introduced hundreds of children to the magic of live theater by starting a non-profit Children�s Theater, directing Children�s plays and teaching acting classes. For her efforts, she was nominated for several awards including most valuable volunteer. Her favorite �awards� are not plaques or statues but letters from a few of the children that wrote to her after they reached adulthood telling her how much her kindness had helped them through difficult periods of their childhoods. Aileen is also a former model that loves antiques and classic fashion and she has combined these two passions into a yearly Antique Show and Vintage Fashion show that she directs in Dallas, Texas. She is happily married to the love of her life John Brady and has a family of 5 cats and a dog.